We are so excited to welcome our baby boy into this world. Thank you for helping us get ready for his arrival. Your love and support throughout this memorable and special time means everything. 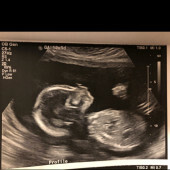 We can't wait for you to meet our little guy!